We help you to make your students comfortable. 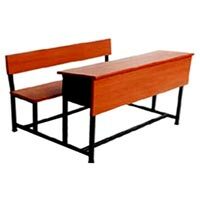 We manufacture a wide range of School Desks that can be availed in various shapes and sizes. The School Desks are made in a combination of metal & plywood or rubber wood tops. These are durable & affordable with very little wear & tear as the metal can re-powdered and the ply can be re- laminated. 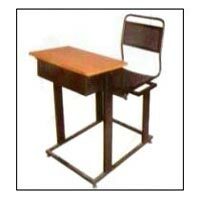 We are among the principal school Desks Manufacturers and Suppliers in India. FSD 101- We help your students to be comfortable. Our desks are made of MS square pipe & plywood top. The metal part is in 18guage, powder coated built to the standard height of 18”. The plywood is 12mm thick and laminated. It has storage for keeping books. The desk has fine finishing. Available as three or four seats. Please write to us to know more about these products and their range. Email us at wh_furnitures@yahoo.com. FSD 102 - We help your students to be comfortable. 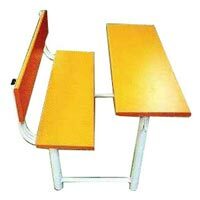 Our desks are made of MS round pipe & plywood top. The metal part is in 18guage, powder coated built to the standard height of 18”. The plywood is 12mm thick and laminated. It has NO STORAGE. The desk has fine finishing. This can be made as three or four seats. FSD 103- We help your students to be comfortable. 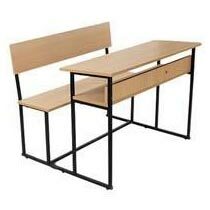 Our desks are made of MS round pipe & plywood top. The metal part is in 18guage, powder coated built to the standard height of 18”. The plywood is 12mm thick and laminated. It has storage for keeping books. The desk has fine finishing. Available as three or four seats. FSD 104- We help your students to be comfortable. 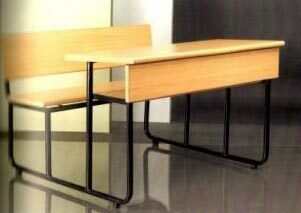 Our desks are made of MS rectangular& round pipe and perforated sheet storage covered on all sides with plywood top The metal part is in 18guage, powder coated built to the standard height of 18”. The plywood is 12mm thick and laminated. 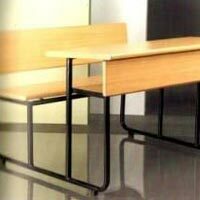 The chair is of metal pipe & sheet. The desk has fine finishing. This is a single seats. 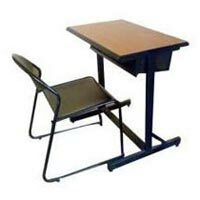 FSD 105- We help your students to be comfortable. Our desks are made of MS rectangular& round pipe and perforated sheet storage covered on all sides with plywood top The metal part is in 18guage, powder coated built to the standard height of 18”. The plywood is 12mm thick and laminated. 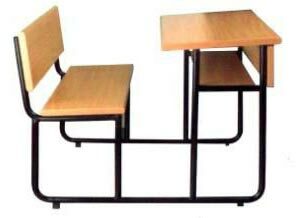 The chair is of metal pipe & sheet. The desk has fine finishing. This is a single seats. 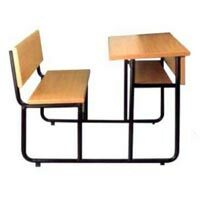 FSD 106 - We help your students to be comfortable. Our desks are made of MS square pipe & plywood top. The metal part is in 18guage, powder coated built to the standard height of 18”. The plywood is 12mm thick and laminated. It has storage for keeping books. The desk has fine finishing. Available as three or four seats. FSD 107 - We help your students to be comfortable. Our desks are made of MS square pipe & plywood top. The metal part is in 18guage, powder coated built to the standard height of 18”. The plywood is 12mm thick and laminated. It has storage for keeping books. The desk has fine finishing. Available as three or four seats.